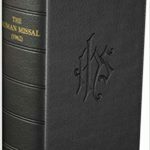 We try to post wonderful content promoting the beauty and richness of the Traditional Latin Mass, and I have personal ties to both Peter and Julian Kwasniewski, so this article is fitting for our Una Voce DSM group. It was taken from the NLM blog back in early October. NLM is pleased to present the following transcription of an interview conducted by Julian Kwasniewski with the Most Reverend Alexander K. Sample, Archbishop of Portland, in connection with the Sacred Liturgy Conference in Salem, Oregon, June 27–30, 2018. Much of what his Excellency says is highly pertinent to the Youth Synod taking place at the Vatican this month. This interview is published here for the first time. Julian Kwasniewski: First off, I just have to say thank you for agreeing to this interview. Archbishop Sample: I want to encourage you young people, and especially young people who are serious about their faith and about the sacred liturgy. I want to do everything I can to encourage you. AS: It is a simple question and it might strike someone as kind of an odd question — we all “know” what a priest is because we see them. But do we really understand who the priest is? I think over time, perhaps particularly since the Council, there has been a reduction, if you will, in people’s understanding of the nature of the priesthood and its place within the Church. A lot of people have come to see the priest as what he does. The focus is what the priest does. Even that has changed a lot, but I think the average person might say the priest celebrates Mass, he hears confessions, he supervises the parish, he administers things. They see his functions; they don’t see his identity. That is key: his priestly identity. Who is he? It’s not so much what he does; it’s who he is, because everything he does flows from who he is. So who is he? 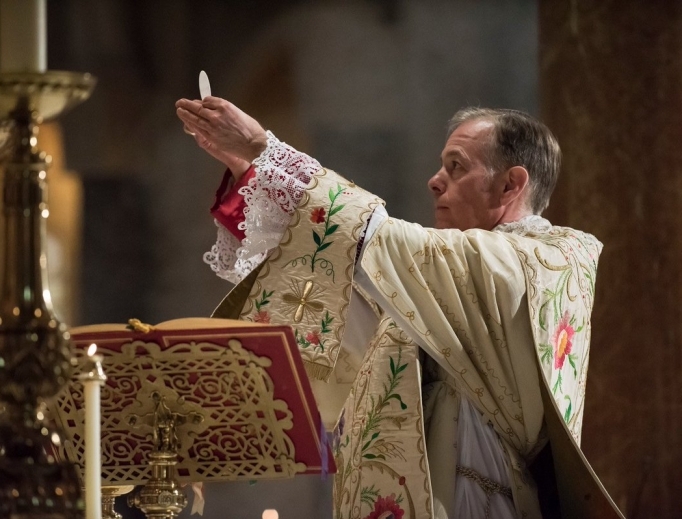 He is a man chosen by God, called to this order and through the sacrament of Holy Orders, through the laying on of hands and the prayer of the church; he is sacramentally configured to Christ the High Priest. There is that an ontological change that takes place in him, change on the very level of his being. He becomes something new, since his soul is forever marked with the character of the priesthood, so that he can minister in the Church in the person of Christ the head, in persona Christi capitis. So there is a close identification between the ordained priest and the High Priest, Jesus Christ; he is called to be an alter Christus, another Christ. All Christians are by our baptism called to be other Christs, but the priest in a particular way represents Christ in the Catholic Church. He participates in the tria munera, the threefold office of Jesus Christ, as Priest, Prophet, and King. The priest is ordained to teach, to sanctify, and to rule or govern God’s people in the name and person of Christ. He is to teach the doctrine of the Church, always according to the mind of the Church and in harmony with the magisterium. 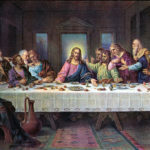 He is a sanctifier; he is the one who sanctifies God’s people, especially through the sacraments, and most especially through the celebration of Holy Mass and the hearing of Confession. He is a shepherd, the guide of the community, he points the way to eternal life. 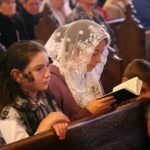 If we understand who the priest is in this sense — the sense in which the Church understands who the priest is — then we see that all the functions that he does and all the things he does flow from this essential identity. To finish reading the interview, click here. Welcome to the Una Voce Des Moines site! This site is to promote the ancient form of the Mass to those of central Iowa. 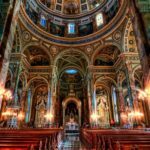 We hope to organize occasional Masses & events, perhaps even some prayer meetings, to showcase the rich liturgical patrimony of the Roman Catholic Church. Do you have any suggestions or recommendations? Do let us know! 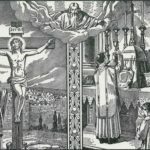 Want to learn more about the Latin Mass?